I've never seen Tommy Wiseau's 2003 film, The Room, which is famously hailed as one of the worst movies ever made, but I have seen enough clips online to know those who have seen it and have created this kind of cult film status around it aren't exaggerating in their claims. 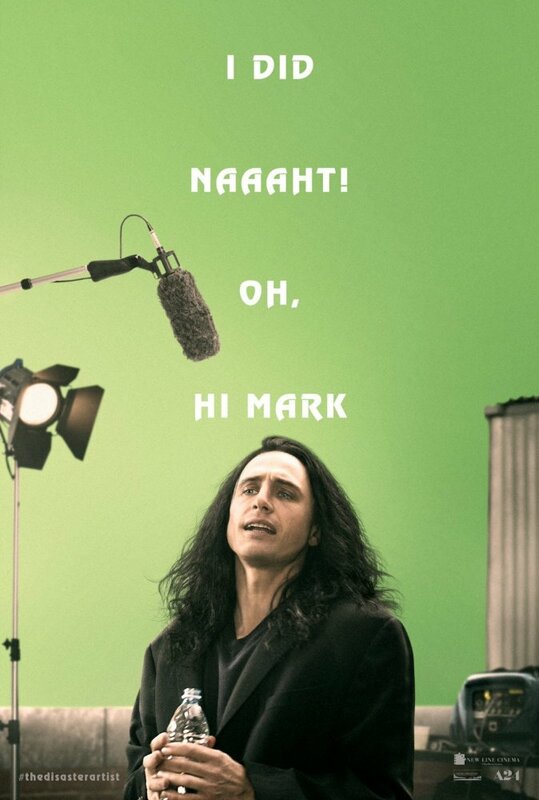 This is all to say that I don't know if I could even manage to make it through the whole movie, but I still may need to try and watch the entirety of Wiseau's film to fully appreciate the latest from director and star of The Disaster Artist, James Franco. With his latest endeavor, Franco has adapted Greg Sestero and Tom Bissell's book that documents the behind-the-scenes look at the making of, "the greatest bad movie ever made." There is something of a little bit of what one could call anger or resentment at the moment as the film just debuted as part of the "Midnight Madness" selections at the Toronto International Film Festival last night where I was supposed to be this week, but it's encouraging to hear the film is getting positive to rave reviews out of the festival with A24 dropping this full length trailer this morning to keep the hype train going all day. The fact this latest clip from the film makes me want to see it all the more is both frustrating and encouraging all at the same time, but I really am excited to know this will get a wide release and that it might in fact live up to the strange expectations I'm now holding for it. Franco has loaded the cast down with comedy names that range from his typical troupe of friends to that of recent co-stars like Bryan Cranston and Megan Mullally. I'm also eager to see Franco work so closely with his brother, Dave, which I don't know that I've seen before and which looks to be a real highlight of the film if this trailer is any indication. Needless to say, this should really be something special. The Disaster Artist also stars Seth Rogen, Alison Brie, Zac Efron, Josh Hutcherson, Jacki Weaver, Ari Graynor, Jason Mantzoukas, and opens in limited release on December 1st before going wide on December 8th, 2017. Synopsis: A delightful tribute to the joy and madness of making movies, The Disaster Artist follows the outrageous adventures of eccentric filmmaker Tommy Wiseau and his best friend, actor Greg Sestero. These two endearing misfits move to L.A. and try to live the Hollywood dream by making their very own feature film, but end up embarking on a wildly unpredictable and hilariously unforgettable production. Leading to one of the most infamous, bizarre, and beloved midnight movies of all time, The Room.